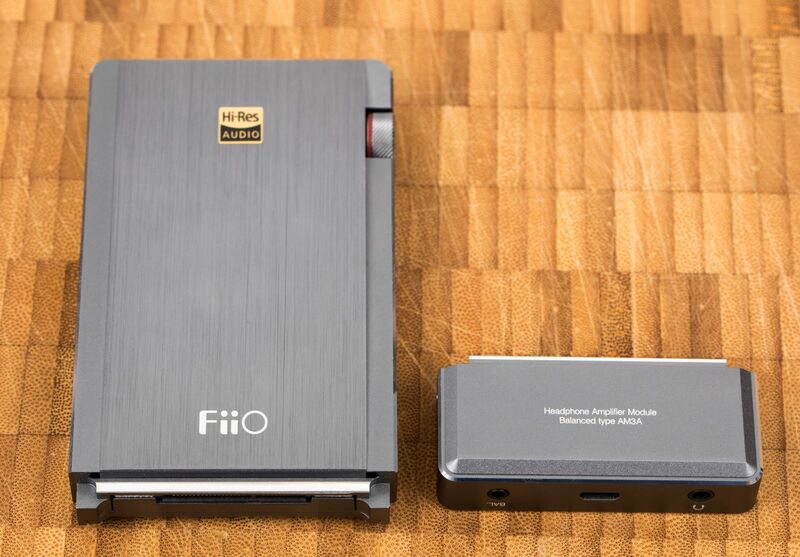 We have been waiting for a long time for a top DAC/Amp combo from FiiO, especially if we take into consideration that the last such devices were E18 and E17K launched 4 years ago and respectively 3 years ago. 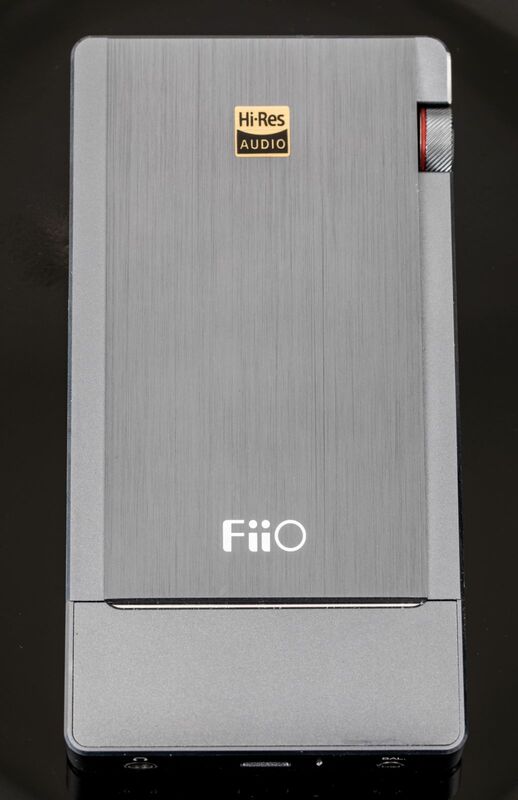 Q1 Mk2 showed me that FiiO has not forgotten his old clientele, but I still wanted something better, something to surprise and amaze me. we knew too well that the new Q5 flagship has been in development for more than two years. It is finally released and finally we have the opportunity to try it and test it thoroughly on both headphones and speakers. The Q5 replaces the E17K/E18 and all its predecessors, delivering not only better sound and stronger amplification stage for headphones, but also new long-awaited features. What actually is the new Q5? 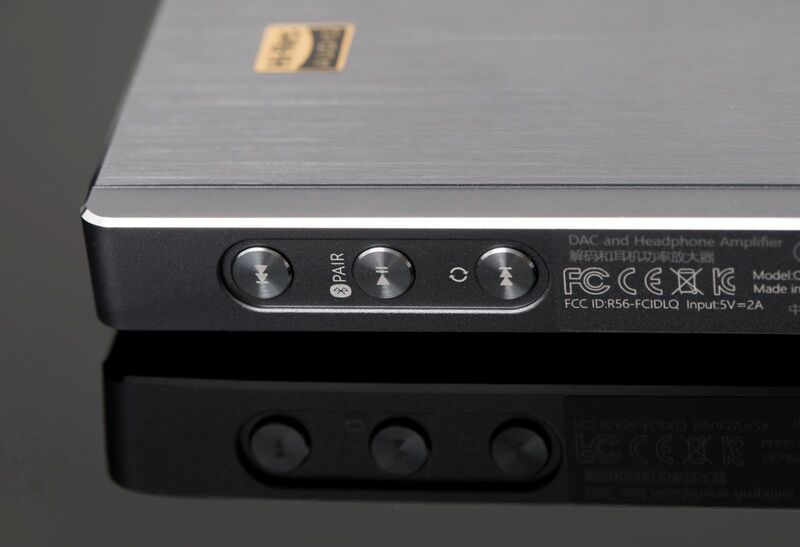 First of all, it is a true audiophile hub, for both headphones and speakers, just the right thing for your iPhone via Bluetooth or lightning cable, but it can also be a powerful DAC for your PC-Fi needs or for your Hi-Fi stereo from the living room. The hardware has been chosen with great care, Q5 being stuffed with many top components, many of which are found only in expensive equipment. At the heart of the device are the two AKM chips, namely the AK4490EN, which are increasingly used in the audio industry due to velvety and clean sound it produces. Those two DAC chips are capable of decoding both PCM up to 32bit/384kHz but also natively DSD material up to DSD 256! The USB input is taken care by the newest XMOS interface and that is XUF208, that offers stability, low digital noise (jitter) and unaltered signal transmission to other components. 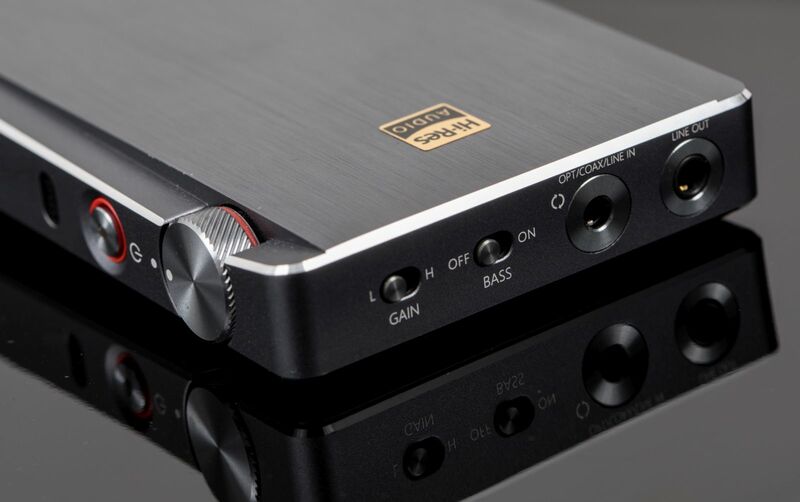 Two pieces of high-performance OPA1642 are taken care of the low-pass filter that passes the signal to the AM3A headphone amplifier module – the same one found in the flagship DAP X7 MkII. Amplification stage in AM3A is done by one OPA8620 (JFET) and by another OPA926. Initially this module was designed for use in the top of the line X7 MkII, but due to its versatility and high performance it was decided to be used in the Q5 as well. Output power is slightly higher than that of X7 MkII though (470mW in 16 Ω on Q5 VS 380 mW in 16 Ω on X7 MkII using the balanced output). For every critical circuit a total of seven low-dropout regulators were used for a cleaner and purer sound performance. Q5 can also receive data via Bluetooth; the chip used is the Qualcomm CSR8670 that offers official support for AptX. Before raising an eyebrow you should know that native decoding of audio bit streams will still be done by the two AK4490 DAC chips and not by decoder built in the CSR8670. Because it is still impossible transmitting in real-time full streams of PCM data in 16 bit / 44.1 kHz, AptX was the right choice thanks to a low compression of the signal up to 352 kb/s (compression rate of 4:1), which can be sufficient for most listeners. Although technically the Bluetooth chip can support BT version 5.0, at the time of testing the working BT version of Q5 is 4.2. From what I understand in the near future there might be firmware updates that can also update Bluetooth to a newest version, time will tell. As with the Q1 Mk2, the new Q5 is MFI certified (Made For iPhone) and it perfectly works with iOS devices, both via the microUSB > Lightning cable found in the package and via Bluetooth. 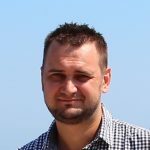 It will also work with some Android devices, although the manufacturer does not specify this aspect. However, I recommend testing in advance to check the functionality with your Android phone. From our tests it perfectly worked with all devices that had USB-C and with all Android devices that supports OTG audio out. As I was saying, as in case of X7 MkII, headphone amplification is made through interchangeable amp modules, at this moment 6 amp modules are available, most recent one is the AM3B that also has a balanced Pentaconn 4.4 mm headphone out. Stock module is AM3A which besides the normal 3.5mm output offers an additional balanced 2.5 mm output via TRRS. 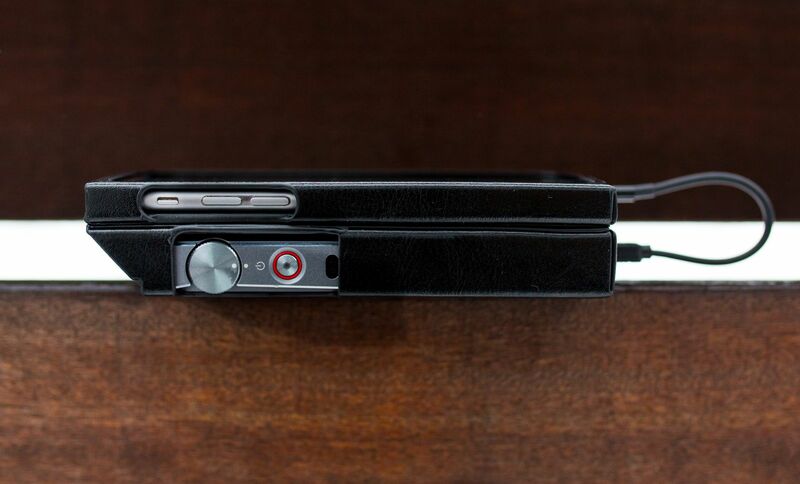 FiiO separately offers some additional accessories such as the Q5 leather case, and a 2-in-1 leather case for Q5 and an iPhone 6/6S/7/8. For Android users we recommend purchasing a USB-C to microUSB or a microUSB to microUSB cable. We bought one from Amazon, a short 10 cm cable. The combination of anodized and sandblasted aluminum (with zirconium) looks amazingly good. The back covered with organic leather gives an air of refinement and good taste. The device has a buttons, inputs and outputs on all four lateral sides so hold tight. It’s a little complicated at first, but in just a few minutes everything is clear and simple. On top we find two switches for bass (On/Off) and gain (Low/High), as well as a coaxial/optical input combo jack and a line output jack (1.8 V Rms). On the right, we find the digital volume potentiometer, the On/Off button, and the green DSD LED that lights up when playing DSD tracks. 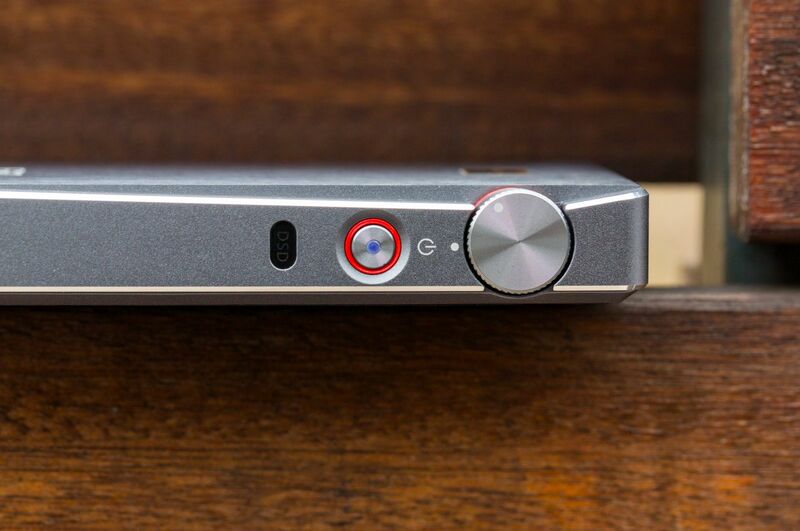 On the left side, we have a microUSB input that only charges the device and the three playback buttons that sadly work only with a Bluetooth connection. At the bottom is the amplification module where another microUSB port can be found that charges and connects the USB DAC to the PC and two headphones outputs: the normal 3.5mm and the 2.5mm balanced one. Overall I really like how it looks and feels in my hand, it looks solid and it works flawlessly. 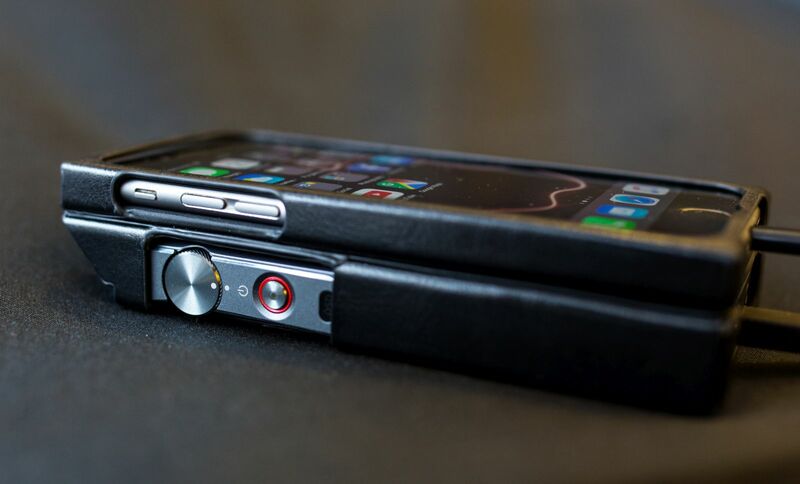 It is worth mentioning that Q5 has several additional features that can only be accessed via the FiiO Music app installed on your iPhone. 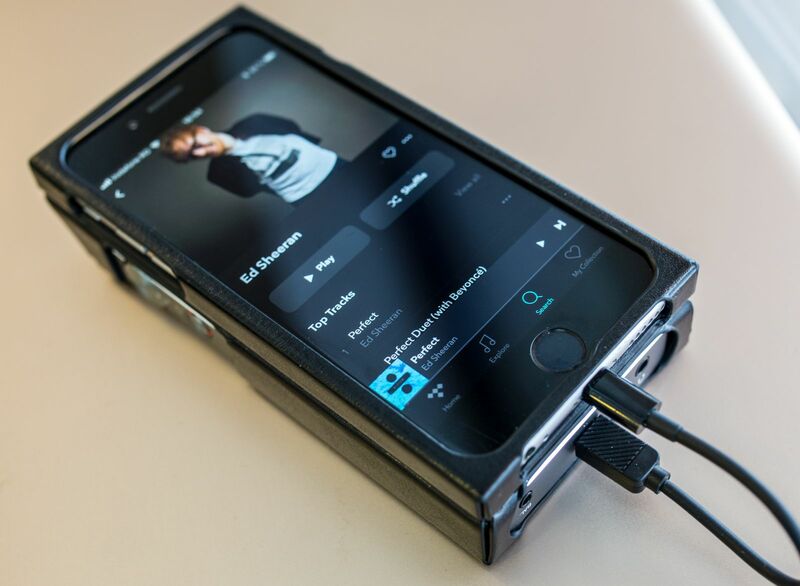 After connecting Q5 via Bluetooth to the iPhone, additional features will appear in the FiiO Music app, such as: adjusting the channel balance, choosing a digital filter (total of 5 filters), activating a turn-off timer, switching USB port functions, displaying battery level. 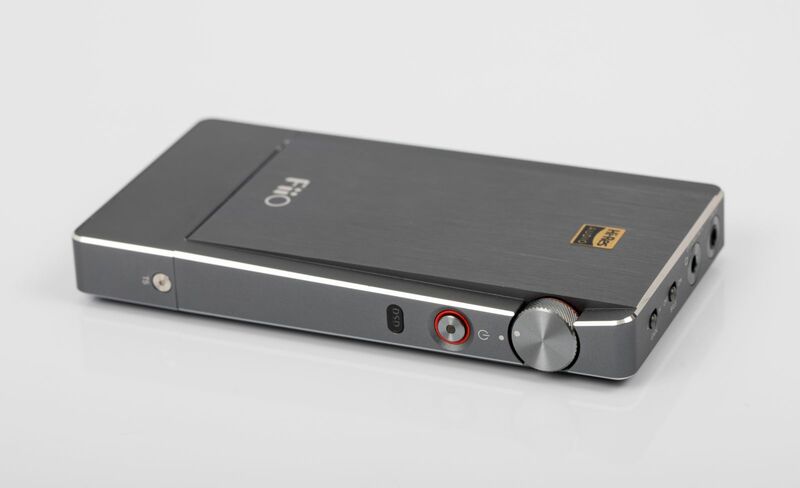 The battery has a capacity of 3800 mAh with which Q5 will work for about 25 hours as a headphone amplifier and around 10 hours as a DAC/Amp. Using Q5 in Bluetooth mode was a great experience and it worked flawlessly with the Q5 in one pocket and my phone in the other pocket, in an open space the signal drops at around 10 meters which I think is more than enough. Speaking of sound quality via Bluetooth I was quite surprised, with a pair of Sennheiser Momentum M2.0 over-ear headphones the difference between playing a lossless 16 bit file fed from a PC or via Bluetooth is imperceptible. On higher caliber headphones such as Sennheiser HD660S I noticed small differences, I think a bit of resolution and clarity is lost and the stereo image becomes blurrier on Bluetooth, however the difference is quite small, in some cases pretty hard to detect, just like comparing a 320 kb/s mp3 file with a 1411 kbps wav file on your desktop rig. First of all I want to tell you that I have listened to the AKM chipsets on several occasions, I have a very solid idea how they should sound, the velvety sound they are capable I’ve heard on both Hegel HD25 DAC and on FiiO X5 MkIII. 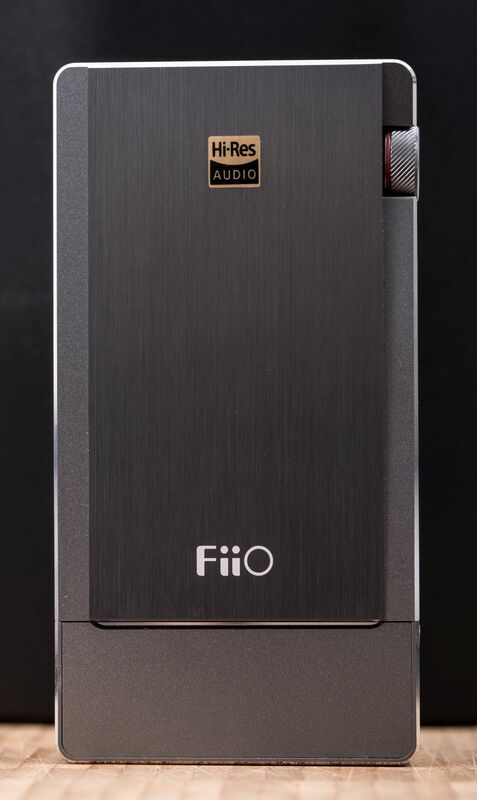 I do not know exactly what mumbo-jumbo was done on FiiO’s part but Q5 sounds very differently. The sound extremities that were cut on X5-III are no longer that way, Hegel HD25’s overly pronounced musicality is no longer present, Q5 sounds much more linear and true to the recording. It sounds so neutral that you can easily use it in a studio, it reminds me a lot about monitoring type of DACs I’ve tried in the past, being extremely precise and linear. It doesn’t sound clinical or boring, not at all; it has a good bite and attack, an instant withdrawal of notes as well as an unexpected good rendering of micro-details. AKMs have always emphasized smoothness, having a good airing, but almost every time sounded less resolving. I suppose that due to a well-made power supply filtering in the Q5 everything sounds much more detailed than the above-mentioned devices, so detailed in fact that I can easily classify it over the X5-III DAP. 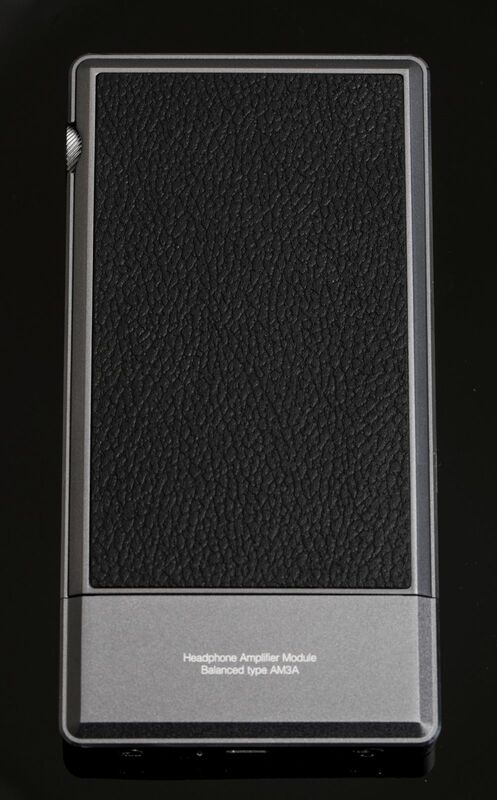 Audio performance is very similar to the one I’ve heard on the FiiO X7 MKII DAP and generally it leads me more towards ESS Sabre chipsets than to the AKM ones. Too bad I did not have around a Chord Mojo for a comparison, but I presume Q5 to be at least at the same level in terms of resolution and clarity heard on my favorite tracks (will be back if I borrow one for a comparison). The small details are heard with great ease; even using Sennheiser HD660S without too much effort I can easily distinguish the imperfections of the recordings, the hidden details become more obvious and more in your face. 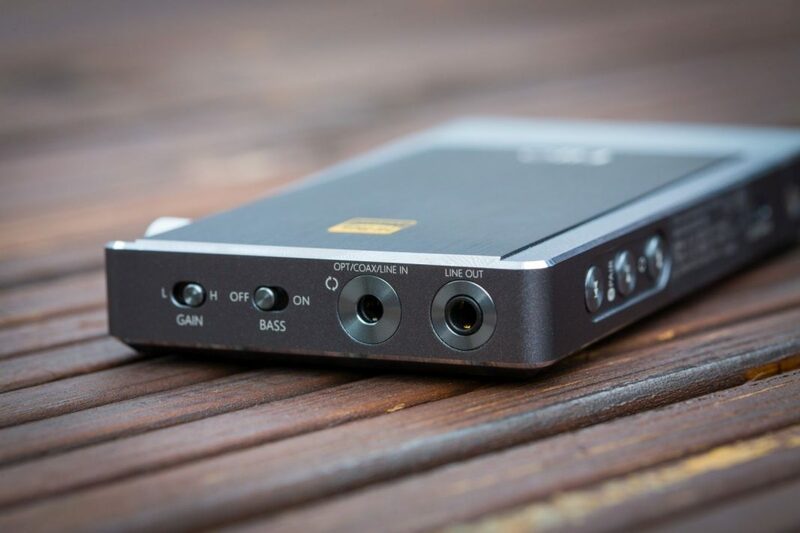 Another interesting aspect that impressed me is the width of the soundstage that rivals the performance of high quality desktop DACs. The sound breathes lightly; the notes touch very late an imaginary wall, their decline is fast enough but in a smooth and calm way. I think the large soundstage it’s capable of is bigger than what I’ve heard on other FiiO devices. If X7 MKII impressed me more with it’s depth of sound, I can say that on Q5 has a grander stage on the X, Y, Z axes, it is much more interesting and stands out clearly. I easily enjoyed both jazz and classical pieces, but not only that, because of the good attack and instantaneous decline of the notes, faster and more crowded music shined as well. Attack and impact are at a high level; I realized that immediately after connecting Q5 to the Cambridge Audio Azur 851A integrated amp and later to the Monitor Audio Silver 100 speakers. Bass notes began hitting fast, hearing layers and sub-layers of it, it is clear that the focus was on quality rather than on quantity. Good control of the notes is again present, the total lack of echo or of a thin veil leads to a crystal clear performance in which the notes breathe lightly where the dynamics are not slowed down. Mid frequencies as well as bass were well-defined with a touch of warm and natural texture, but nevertheless sounded on of the same level as the rest of frequencies, they seem neutral and well scattered around the listener. Highs are also very good, maybe too good with a strong outline and glitter. Unlike its predecessors, Sennheiser HD660S are really strong in this frequency area, but very rarely treble can become sibilant, together with Q5 they shown their honest character they are capable of. I have rarely heard a slight treble peak, especially on modern rock where good mastering was not the number one priority. Apart from this aspect, the highs are clear, I even think lower extremities (sub bass) and the top ones are really well done without any cutting, I hear them clearly without too much effort. 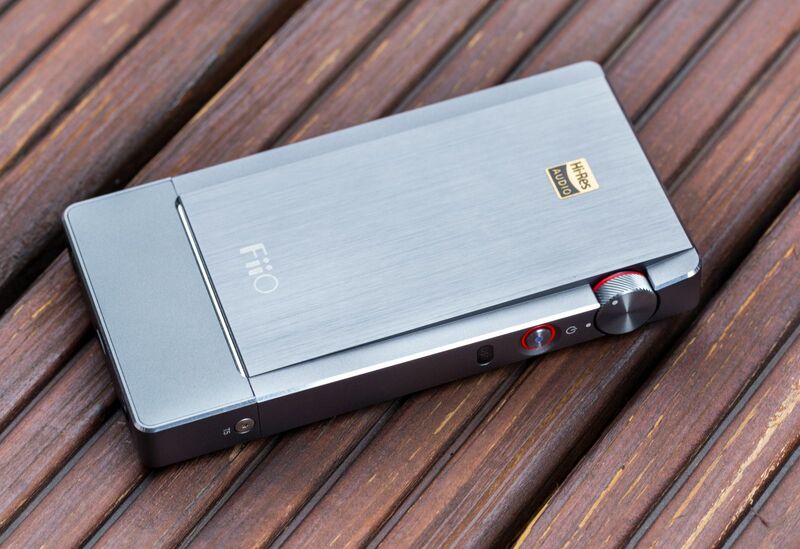 This time, FiiO has tried to combine the technical qualities that a flagship such as Q5 must be capable of with a slight musicality in which the soul of music must be present. I can say this merging was achieved and I think that the Q5 sounds better than many devices I have listened to at this price point. Also on the speaker based system I noticed a good outline of the notes; I could feel the texture of the musical instruments and notes vibration pretty easily. I’ve heard bass on multiple layers, bass muddiness is completely missing and I really enjoyed that. On Monitor Audio Silver 100 I’ve heard a clearer treble, more than I was used to, cymbals really stood out of the crowd, executed quickly with a fast decline. Using the stock AM3A module on high gain I drove quite easily a pair of Sennheiser HD660S on the normal 3.5mm output. Since balanced output offers about twice as much power, you can effortlessly drive dynamic headphones with impedance up to 300 Ω.
Dynamics were not altered even on such big caliber headphones, so it can easily be used as a 2-in-1 DAC/Amp in a simple yet powerful headphone setup. I have tried the tiny F9 PRO that are super efficient but also very demanding when it comes to noise levels and hiss of an amplifier. Luckily hiss was not present even on high gain with max volume; of course I didn’t hit the play button – that would fry the tiny IEMs and my personal measurement devices. Therefore I consider the headphone output to be exceptional and clean, without traces of hiss or background noise, it is also very powerful, being able to handle difficult tasks such as headphones tested by me. I liked this little fella both via Bluetooth and directly via the lightning cable. It sounded great as an USB DAC and as DAC linked via optical to a Chromecast audio in a speaker based system. Headphone output has not been overlooked; it is well implemented and can handle a very wide range of headphones. Design is simple and attractive, build quality is also high, and the aluminum brick sits very comfortable in hand. 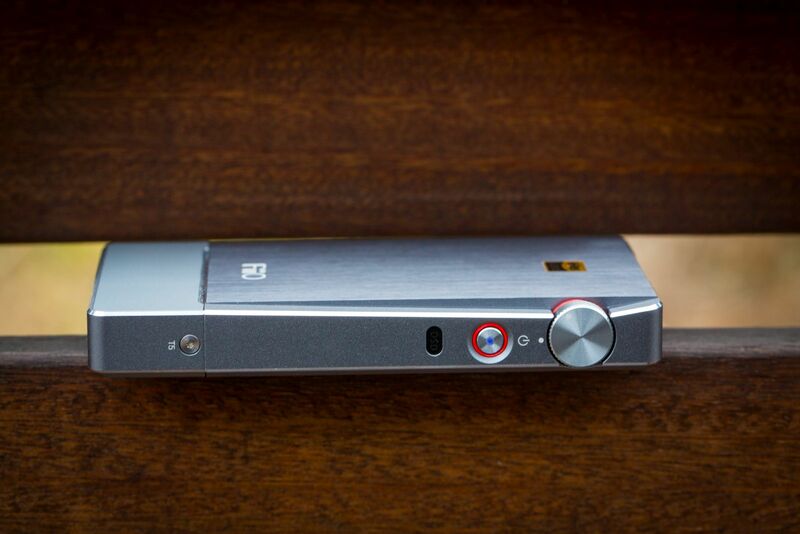 The sound was better than expected, really deserves its flagship status in the FiiO’s DAC/Amp portfolio. Woo Audio WA8 Eclipse – E magic! 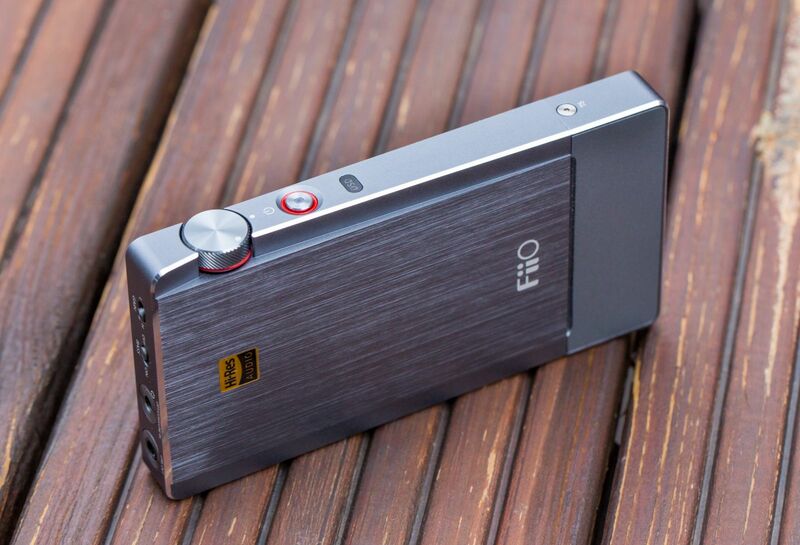 FiiO A5 – Faster! Harder! Scooter?